In our run-up to Milky Way’s official launch this October, we chatted with author Mamta Nainy about writing this charming story. Today, we speak to illustrator Siddhartha Tripathi about bringing the characters to life in his inimitable style. Read what he has to say about his travels in Ladakh, his illustrative process and his favorite part in the story! 1. Tell us a little bit about yourself. How did you develop your unique approach to illustration? I am a simple man from the city of Lucknow (U.P). I completed my schooling from La Martiniere College and after studying at Lucknow College of Arts for a year, I joined the National Institute of Design, Ahmedabad, graduating in Animation Film Design. After graduation, for a few years I freelanced as a filmmaker and an illustrator. I joined NID as a faculty member last July, teaching courses in the Foundation Program. I love teaching, reading, illustrating, brewing coffee and baking bread. During my free time, I like to sit and do nothing while riddling out problems inside my head. Over the years, I have acquired and developed many different styles of illustrating, but this thick-and-thin-lines style is my favorite. Since I prefer to color my artworks using traditional watercolors instead of digitally coloring them, this style works perfectly. Permanent markers, Isograph pens and watercolors for me are the deadliest of combinations! 2. What did you think of Milky Way? Do you have a favorite part in the story? I loved this story. Since I have spent a lot of time in Leh reading folk stories of the region, I see how close this story is to local stories and beliefs. The good thing about this story is that it is very simple and yet it is full of regional flavor and peopled by very well-defined characters. There is a beautiful message in the end. My favorite part is when the Moon disappears and Tashi waits for him to return. 3. How did you develop the characters and scenes for Milky Way? Well, the story is so beautifully written and the characters are so nicely described in the script that it became very easy for me to draw it out. Besides, I had many good references from my own trip. I have spent a lot of time in Dharamsala as well before I joined NID and some of my closest friends are Tibetans. I constantly spoke to them, sharing my ideas and they really helped me develop Tashi’s character. 4. Tell us about your travels in Ladakh. How did it inspire your artwork for this book? During my freelancing years, I lived in Leh for few months, working on a personal project. My friend Milann and I were shooting a film there and I got to speak to the local people in order to animate and illustrate the film. We are still working on it and hopefully in few years we will be able to release the film. I think I was but a boy then, unaware of what the real world is. But after going on those two trips (one in June and other one in January) my life changed completely. I started dreaming about that place and wished to go and live there forever. But I realized that such pristine places are meant to remain untouched and unblemished by the vagaries of city life (which unfortunately is no longer the case). Thus I create my own Ladakh in the places I live. I have been studying Buddhist texts and practicing their way of living as much as my I can in my personal life. But deep inside me I had always wanted to do something for Leh, illustrate something or write stories about that wonderland. Milky Way gave me that very opportunity and I am very glad to have been a part of it. 5. 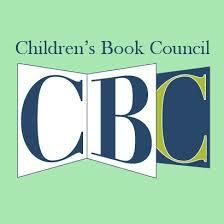 Do you have any advice for aspiring illustrators in the children’s book industry? From my experiences over the past decade in this field, I’d humbly say to anyone who wishes to enter this lovely eccentric world of lines and colors to constantly cultivate patience within and work not just for the sake of money. If your effort is absolutely sincere and honest, the money will always come. Before taking up any project, remember that first and foremost, we are storytellers and our duty is towards our listeners and readers. Hence, do justice to the story with not just your artwork but also your inner spirit.